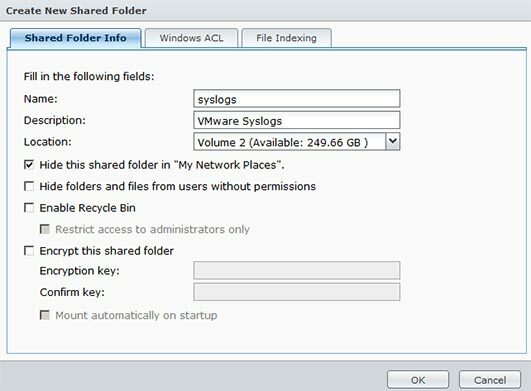 Log into your admin panel for the Synology and open the Package Center and click on Utilities and then INSTALL under “Syslog Server”. 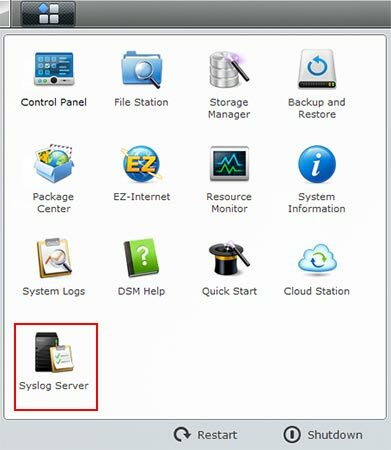 Now open the Synology Syslog Server. Click on Server Settings and then check Enable Syslog Server and change the location to your newly created folder, in my case “syslogs”. 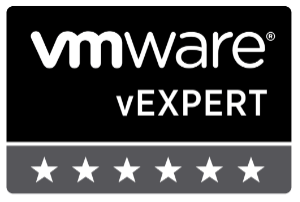 Now we need to head over to vSphere and for each host go to the Configuration tab, then Security Profile. Next to Firewall, click Properties and check “syslog” which will open ports 514 and 1514 and click on OK, this will allow our host to communicate with the new syslog server on the Synology. 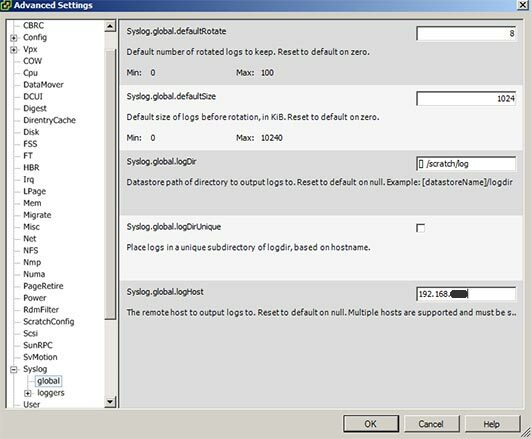 Still in the Configuration tab, click Advanced Settings and expand Syslog and click on Global. 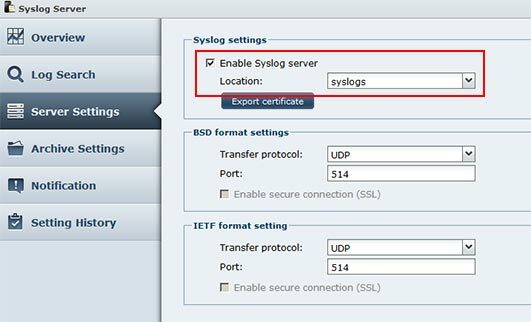 Type in the IP address of your Synology in the Syslog.global.logHost field and click OK.
That’s is, just be sure to repeat steps 6 thur 8 for each host you have in your environment! 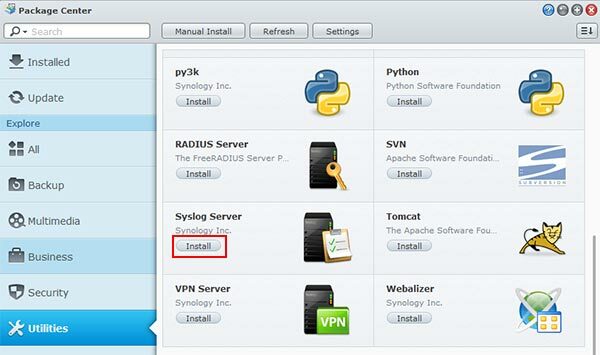 Note: The above steps where performed using a Synology DS412+, running DSM 4.3-3776. 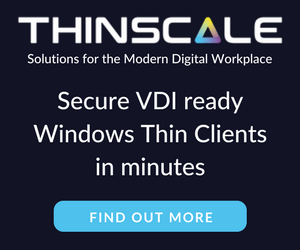 Your steps may vary if running a different model and/or version of DSM.